This past weekend I found myself gearing up, heading all the way down South and camping overnight in a field. Camping. Me. In a tent. What? I’m a hotel girl at heart and haven’t entertained the idea of camping since I was 13 - long story short, we camped, it was horrendous, a bull got loose in the field - I never camped again. Until Now. Almost 17 whopping long years later, I figured it was worth giving another shot, with brilliant company, gin, and the promise of watching some of my favourite films under the starlight, who was I to say no? The Cinema Sleepover Club is one of the first in the country to combine all the highlights of a grand night out in one spot, from movies to music, food, drink, and staying out under the stars. We found ourselves in a field in Potters Bar under what turned out to be glorious sunshine on Saturday afternoon. I’d successfully pitched my pop-up tent, put my camp bed together, grabbed a gin and burnt by mid afternoon - ah, the camping life! 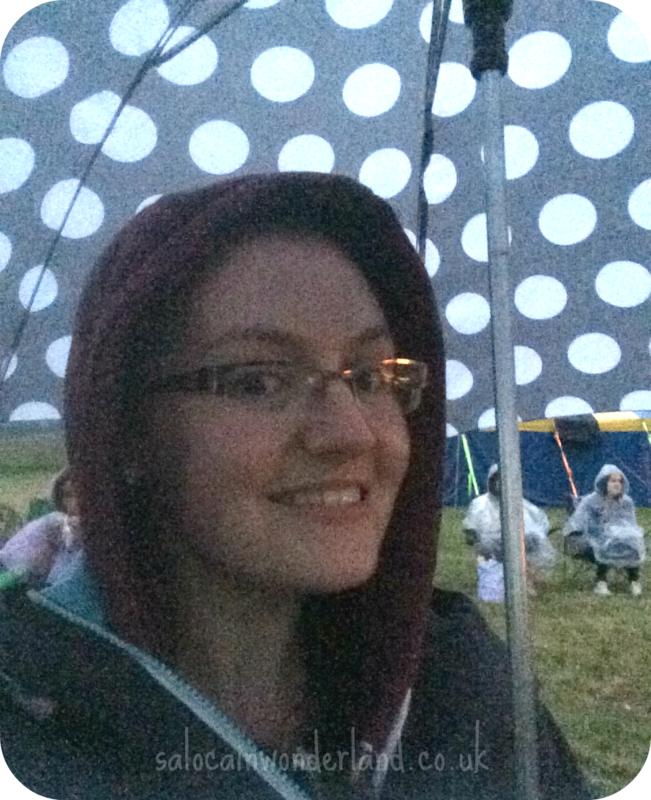 By 6.30pm, we all headed into the main tent at the bottom of the field to watch our first film of the night; Mean Girls which is easily one of my favourite girls night films! It’s so fetch! After narrowly missing a downpour, we headed back to our tents for another gin and chill as the sun started to set and a huge blow-up screen made an appearance back down the bottom of the field. 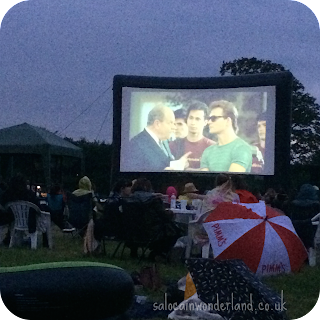 We threw on some extra layers as night fell and headed down to the big screen for the evenings main event; Dirty Dancing under the stars. Hands down, this is my all time, ultimate, desert island film. I got cosy with a hot tea, it was getting pretty cold at this point, grabbed some sweets (popcorn was on hand but I totally forgot to have some! Fail! ), pitched my umbrella over my head just incase the rain came back, and took a trip to Kellerman's. The film was, as always, amazing, but what was more amazing was the atmosphere during the whole film, from calling out to singing along, laughing and dancing the finale in wellies and rain coats, it was a totally new and different way to experience the film. 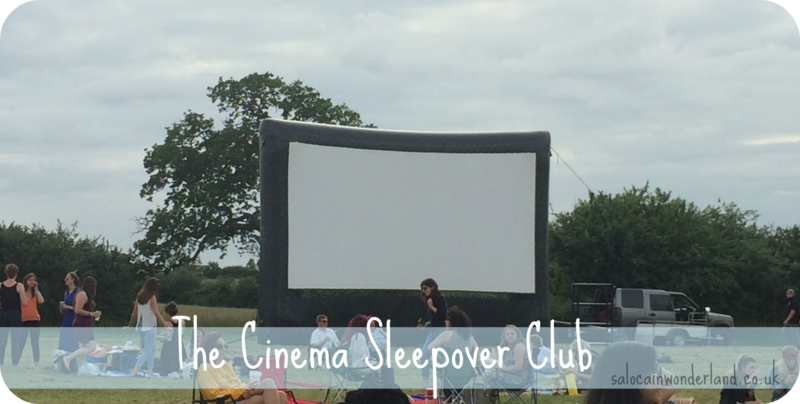 Cinema Sleepover Club pairs their films, so you’ll always get two on the night. They try to match them up by stars or theme, for example, they’re doing Grease and Moulin Rouge soon, and have recently done Fight Club and Pulp Fiction back to back. 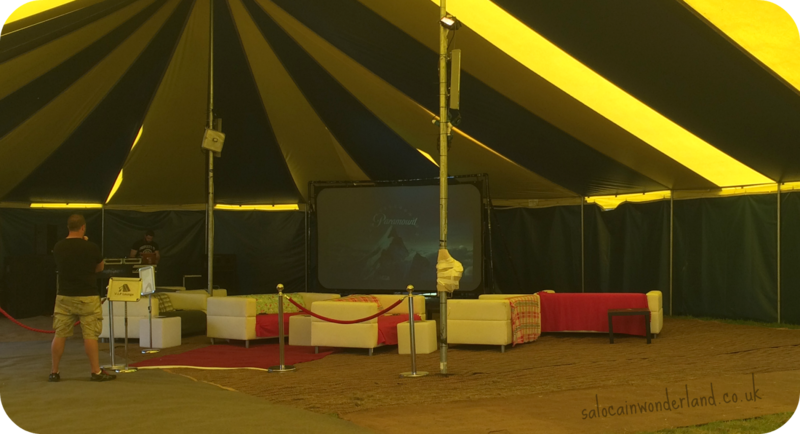 Camping is optional, you can just pop down for the films, food and atmosphere but for me, the camping had to be a part of the deal. As much as I was dreading it, and though I didn’t sleep much, I thoroughly enjoyed it! 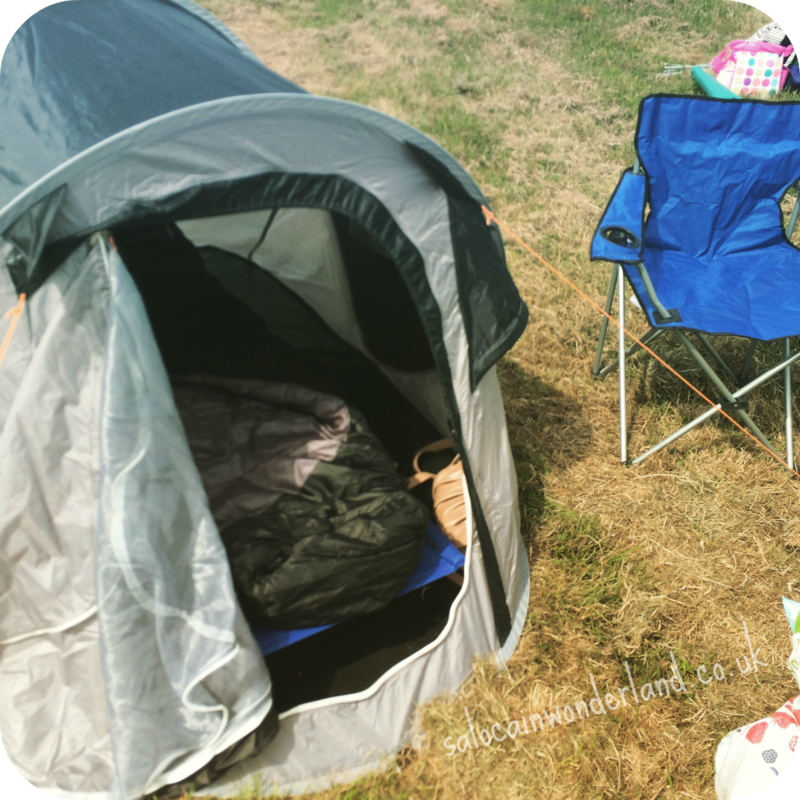 I loved chilling out on the camping chairs and laughing with the girls, I loved the random people walking by we got chatting to, and seeing all the weird and wonderful tents other people had. 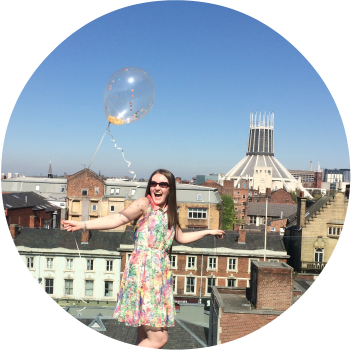 There was a really chilled out atmosphere right across the site which was wonderful. The dry weather really helped me like camping all the more too! Food and drink were more limited than I expected. As in, there were 3 vans; a bar, a cafe, and a food truck serving up the likes of burgers, fish, and chips. From what I’d read online, I was expecting more food choices, a bit of a street food atmosphere, and I also read there would be stalls selling trinkets and wares, of which there was none. We made our own entertainment during the afternoon but the stalls would have been nice to browse! The bar prices weren’t bad either, surprisingly, it was only £3.50 for a single gin and tonic. Water, tea, and coffee were around £2 each. After the films, the main tent turns into a nightclub, from around 11pm - 2am, you can dance the night away in your wellies, the bar stays open, the foods still hot, and your tent is there for you to roll into once you’re all danced out. We stayed at the tent-isco for a while but the music really wasn’t up my street, we needed girlie, cheesy, sleepover tunes and what we got was techno dub-step which I just wasn’t drunk enough for! We still enjoyed ourselves though and headed back to the tents just after 1am. The music was pretty loud and it was starting to get really cold, most of the campers had zipped up and settled down by about 3am so there was a chance to get some sleep. Marshalls and security patrolled the site day and night and only those with wristbands were permitted so I felt really safe too. Before the tea and coffee van had even put their first kettle on, we were up and packing. It was raining most of the morning and though we could stay on the field until 1pm, we didn’t much fancy the trek back to Liverpool soaked through! We said good-bye to Potters Bar, packed up the cars and went in search of breakfast and running water. Around late afternoon on Saturday, the water started to run out. The toilets still flushed but you couldn’t wash your hands! All in all, a fantastic experience that I would love to repeat again if it was to come closer to home! London was great, but it was a bit far! There’s something so magical about watching movies outside! Have you experienced an outdoor cinema? It sounds fun. I love camping and now with the caravan, I love it even more. Although I can't imagine having no running water, that is a reason to leave as soon as possible.